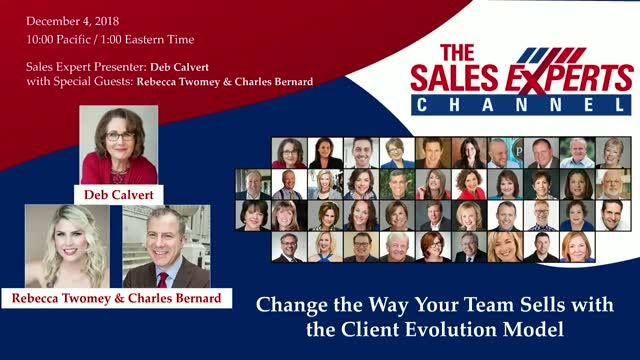 During the webinar, Charles and Rebecca will share the Client Evolution Model with you. It's an impactful tool that will help your sales and marketing teams understand where to focus energy, and what to do during each step of the prospect/client relationship process. If you want more business and stronger relationships with your prospects and customers--this webinar is for you! Ready to empower your sales and marketing teams and grow your business? Get signed up today!